The season has finished in this relegation group and teams can not make their position different. 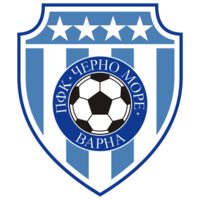 however, since Cherno More will not play at their full, this is a chance for Bistritsa to make first victory in the competition, since promotion in the previous year. home side is weaker than Varna, but they were close to the winning games in few recent at this group. It is not for sure if away side will be in the full roster and the top line for this match. Up to three goals at the game and the host in effort to make at least one victory this season.